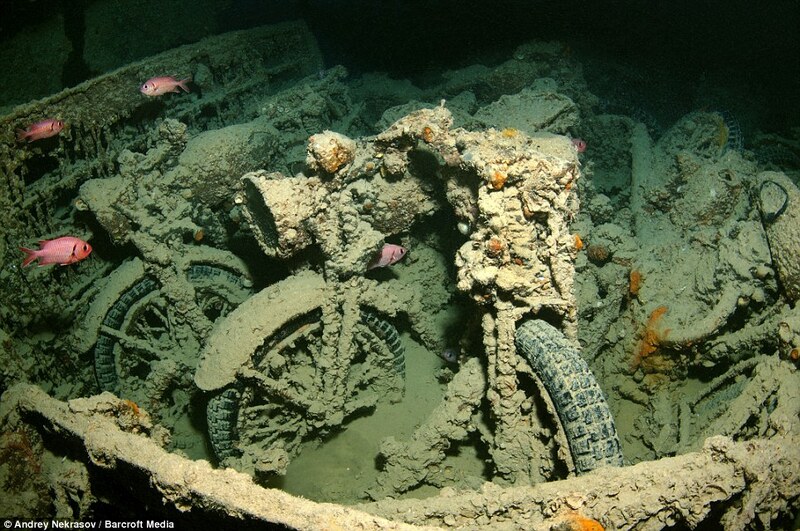 A piece of history frozen in time beneath the waves has been documented in amazing photographs. 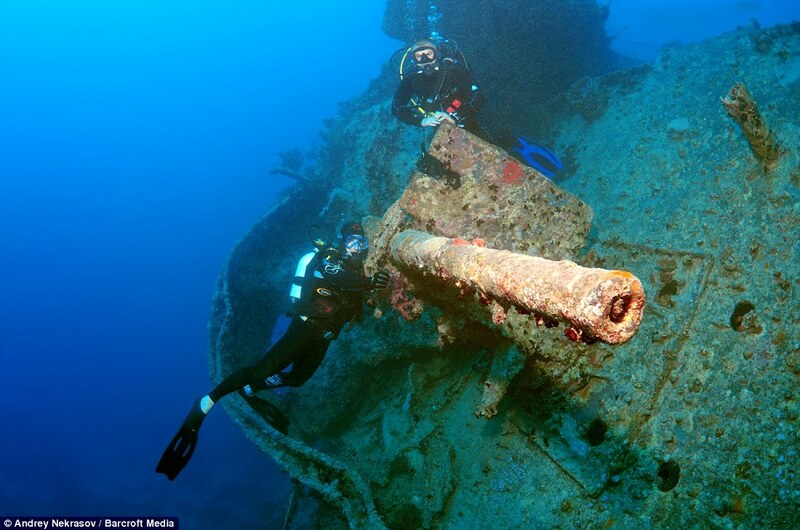 The SS Thistlegorm shipwreck, a British munitions ship sunk by a German bomber in 1941 off the coast of Egypt, lays undisturbed. 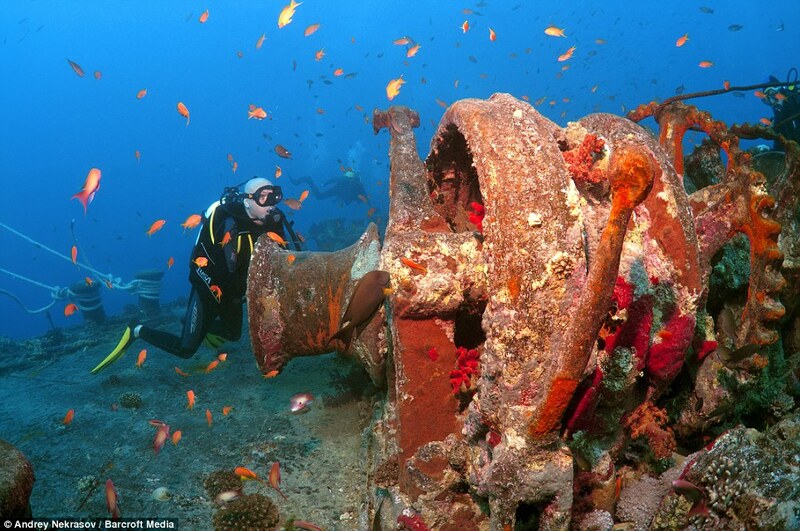 Now turned into a world-class diving site, the wreckage provides a fascinating insight into the past. 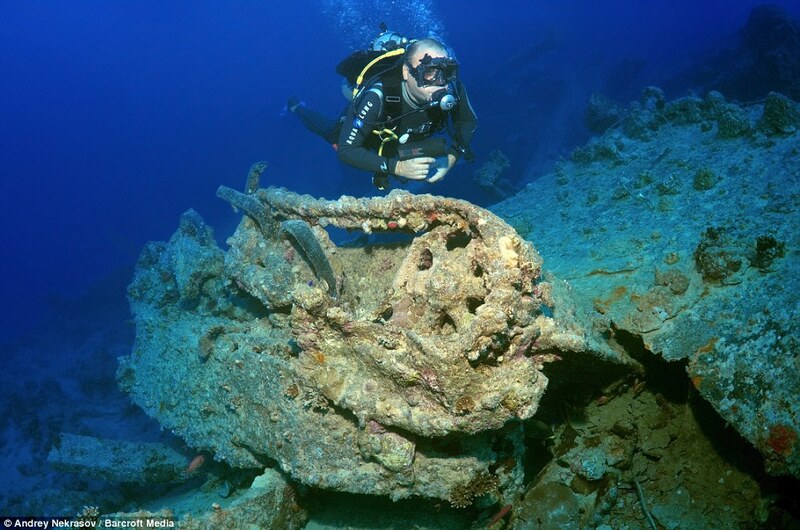 Tropical fish drift past the twisted metal of the war ship’s hull which has lain in the same place for more than 60 years after it was bombed by German planes in the Second World War. 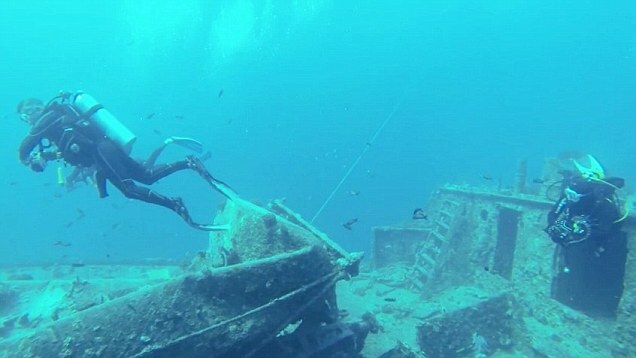 The merchant ship is in the Straits of Gubal in the Northern Red Sea and time has stood still for the supply ship which still has its cargo on board. 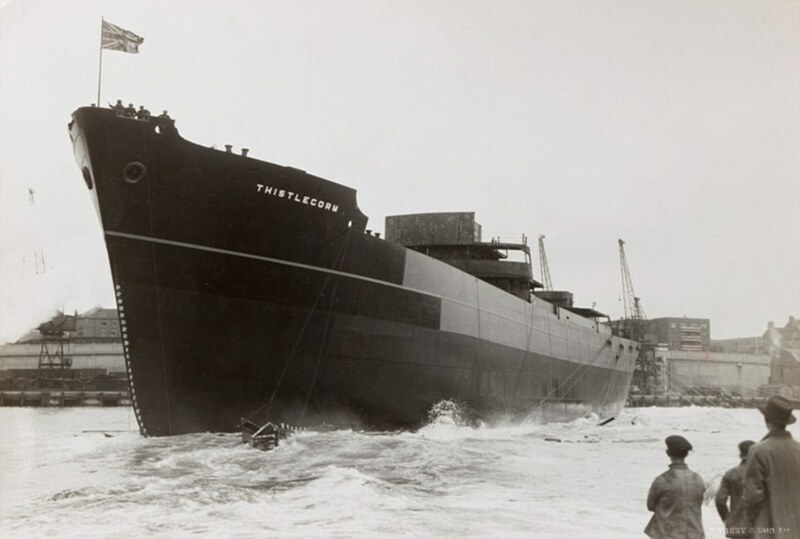 Built in Sunderland, the SS Thistlegorm completed three voyages to the USA, Argentina and the West Indies before it’s ill-fated mission to Suez. 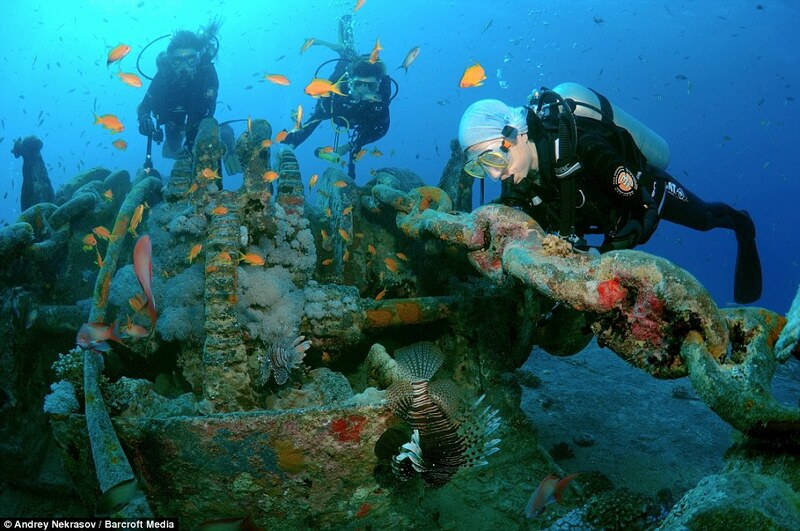 From Sharm El Sheikh, tour operators run ships for divers keen to get a look at this window to the past. 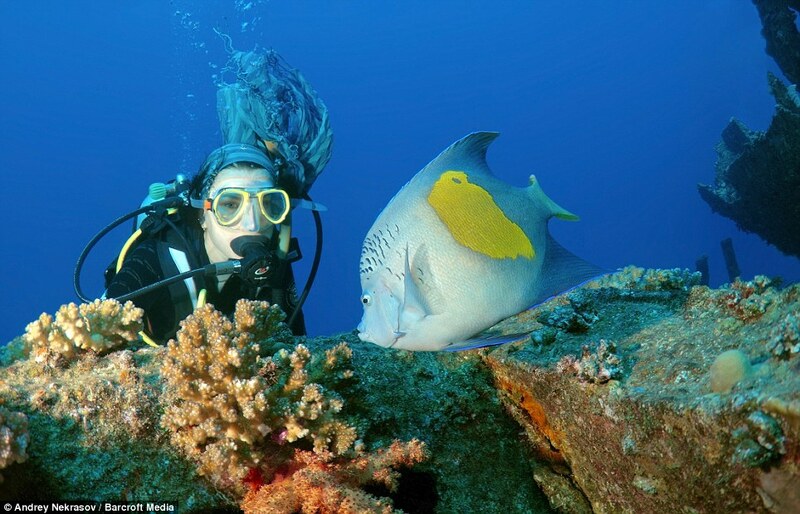 By plunging to depths of 30 metres, explorers can reach the shipwreck in the clear water. 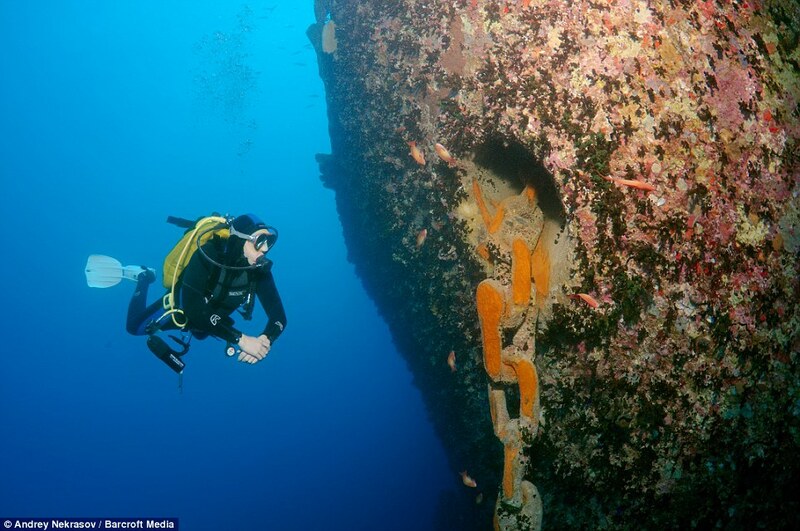 From 15 metres, the bow of the 400-ft long ship is clearly visible and divers are guided through the hold and along every inch of the vessel. 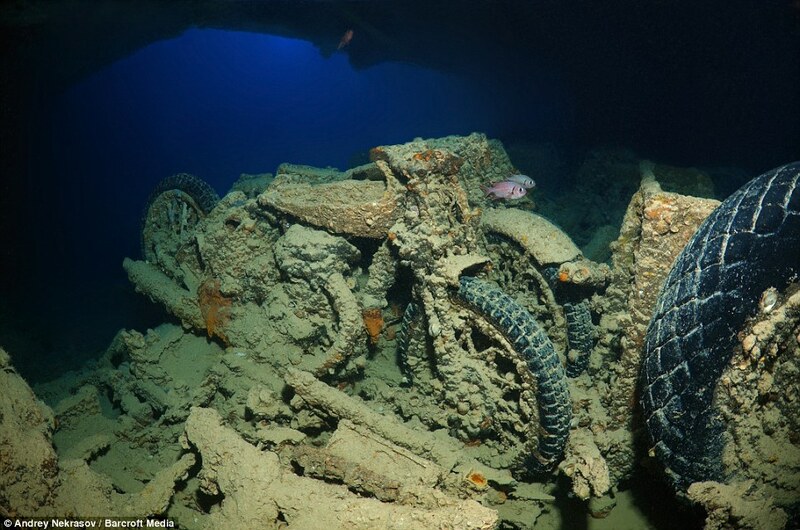 The supply ship was carrying trains, trucks and motorbikes, which now lie rusting on the bed of the Red Sea. 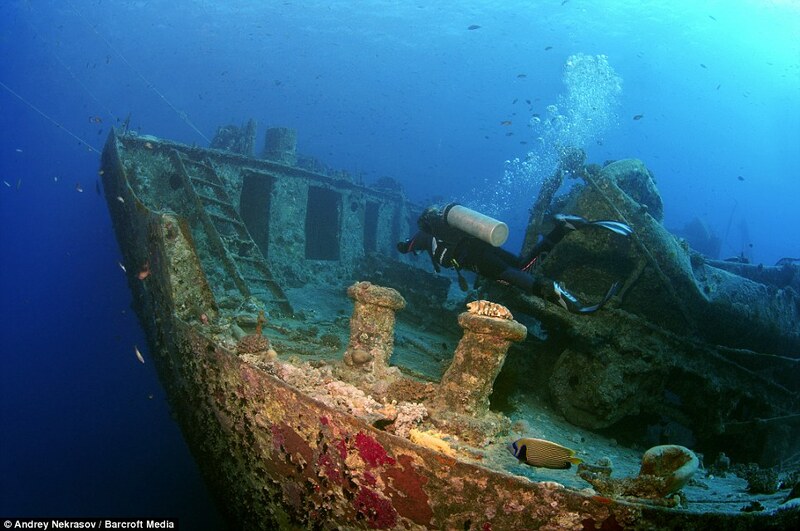 Nine of its 41 crew died in the attack but some of the survivors spoke of their escape from the burning ship in 1941. 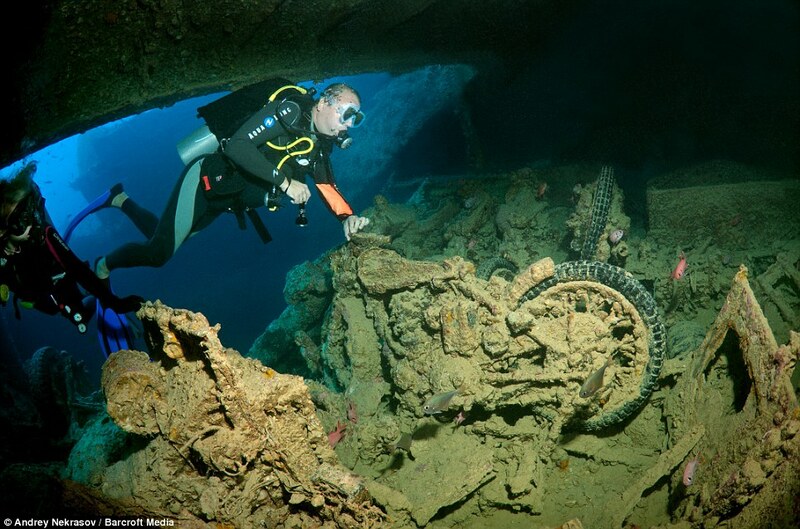 It’s cargo survived, and now divers can see historic vehicles like Norton 16H motorbikes packed in the hold and an anti-aircraft gun mounted on the stern among the angelfish and tropical wildlife that have made the wreck their home. 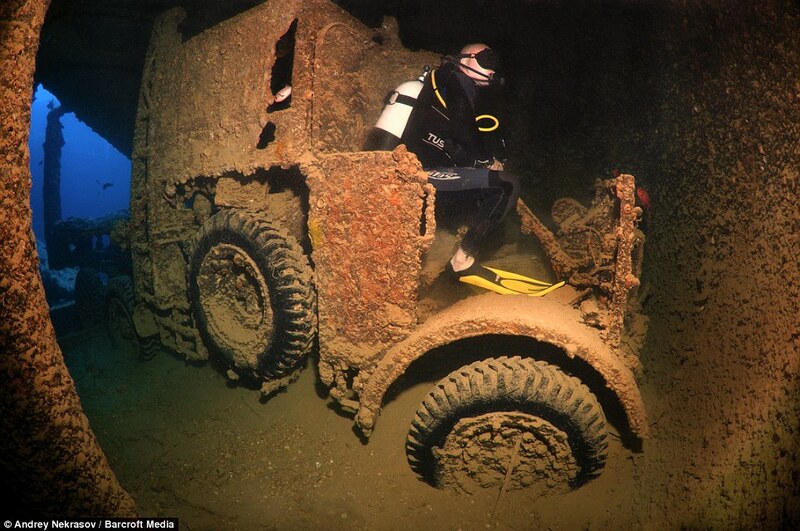 Bedford trucks, Universal Carrier armoured vehicles, Norton 16H and BSA motorcycles, Bren guns, cases of ammunition, and 0.303 rifles as well as radio equipment, Wellington boots, aircraft parts, and two LMS Stanier Class 8F steam locomotives were also on board. 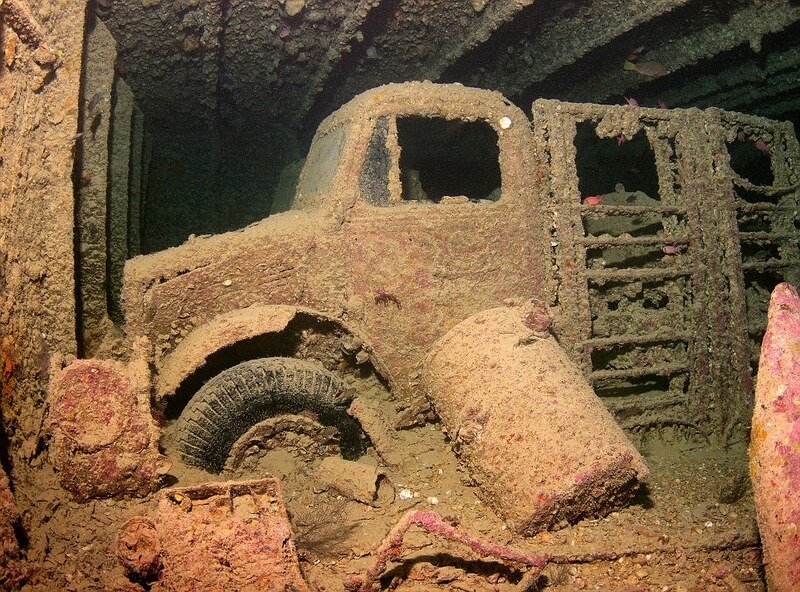 An entire truck also sits within the ship with its tyres still intact. 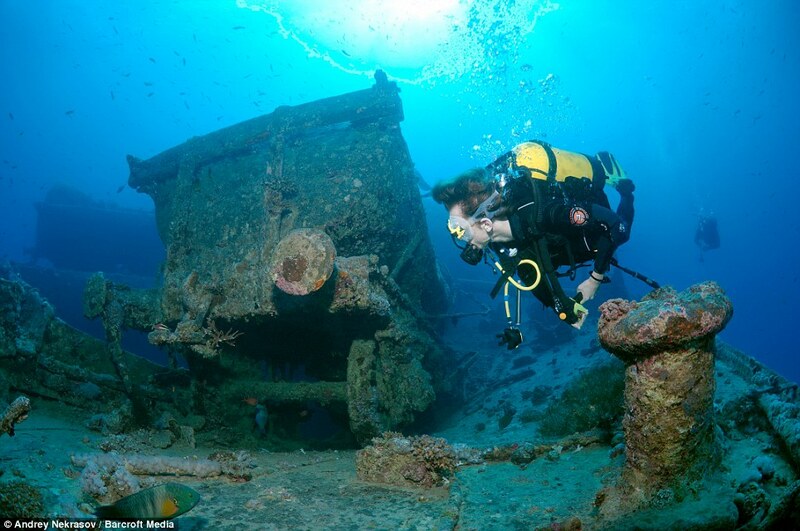 To dive the SS Thistlegorm, people must have diver certification beyond entry level. 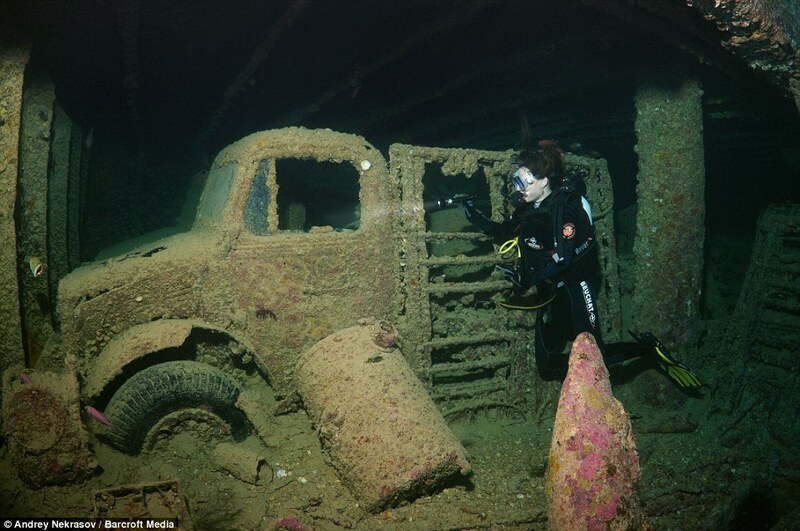 This entry was posted in Blog and tagged 50cal, aircraft, history, jeep, ships, train, truck, ww2.